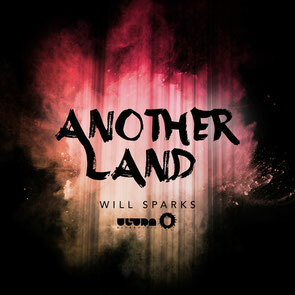 Australia’s Will Sparks recently released the official video for the title track from his debut EP, ‘Another Land’. Released via Ultra Music in late December, the ‘Another Land’ EP did well for the Melbourne DJ/producer as he assembled eight of his latest tracks into one package. ‘Another Land’, which features Sparks himself on vocals, was possibly one of the highlights of the EP, with its fidgety synths and builds. The video plays host to three dancers and sees a fusion of ballet, breakdance and classical Indian dance that manages to inject further energy into the track. Staying true to the song title, the dancers are mysteriously teleported by the music out of their studios and into another land, just in time for the second huge drop. Having played 156 shows worldwide in the last 12 months, including a host of performances in US cities as part of his ‘Bounce Bus Tour’, 2015 sees Sparks off to a decent start. With more tracks set for release on Ultra including ‘Flutatious’, the young Australian is also planning to launch his very own label as he continues to push the Melbourne Bounce sound.